This access statement does not contain personal opinions as to the suitability of Country House Wedding Venue Homme House for those with access needs, but aims to accurately describe the facilities and services that we offer all our guests/visitors. The Homme House Estate is located in the village of Much Marcle in rural Herefordshire. The house is situated approximately one mile from the village centre, via a tarmac driveway which runs through the estate parkland, over two cattle grids and several speed bumps and up a short steep hill to the front of the main house. The house has 8 guest bedrooms situated over the first and second floors. Some of the bedrooms have en suite bathrooms and others have bathrooms situated a short distance away. Unfortunately, due to the historic, listed status of the house, we are unable to install lift access to the upper floors and there is no guest accommodation on the ground floor. We look forward to welcoming you. If you have any queries or require any assistance please phone 01531 660 864 or email weddings@hommehouse.co.uk. 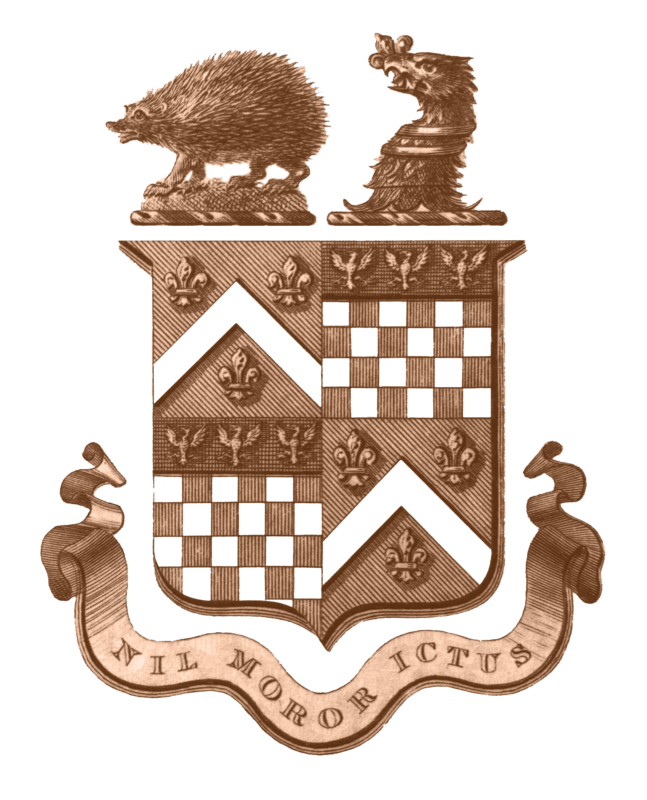 Much Marcle is 13 miles from Malvern, 16 miles from Hereford, Gloucester and Monmouth and 21 miles from Worcester with Birmingham only an hour away. Transport connections are excellent, with the M50 and A40 only 15 minutes away. 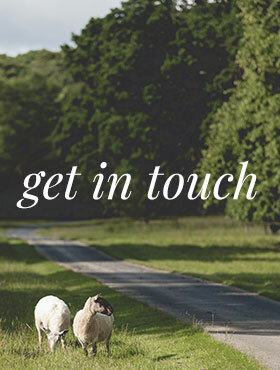 For full details of how to reach us please refer to the ‘Get in Touch’ section of our website. Alternatively, a journey by car can be planned using Google Maps – the postcode for our entrance gates is HR8 2LY.. Visitors should enter the Homme House Estate from the B4024 Much Marcle – Dymock road off the A449 in the centre of the village. The entrance gates are up the lane to St. Bartholomew’s Church after which a private, tarmac drive leads through parkland over several speed bumps and two cattle grids. A left turn after lakes leads up a short steep hill to the front of the house. The nearest railway station is Ledbury, which is 5 miles from Homme House. Ledbury has mainline connections to Birmingham and London Paddington. The nearest bus stop is c. 1 mile from Homme House in Much Marcle village. The route 479 bus departs from Ledbury to Much Marcle village once daily Monday – Friday and takes around 20 minutes. From Gloucester bus station the 677 takes just over a hour and departs once a day Monday – Friday. A list of recommended local taxi services is available for download. We regret that we are unable to accommodate guests’ pets but do welcome assistance dogs and can provide water bowls on request. Visitors are welcome to drop guests off on the gravelled area directly in front of the house, where there is ample space for several cars. From here there are four stone steps (18cm high) up to the front door and then another small step (12cm high) into the entrance hall. Access to the ground floor is also possible via a fixed ramp (117cm wide) with one hand rail at the side, with a portable ramp available for the final step into the entrance hall. The width of the front door is 120cm. a shorter, direct route of approximately 50m up a steep grass bank with 5 stepping stone steps followed by a gravel surface in front of the house. From dusk, the car park area is floodlit. An outside light illuminates the gravel area and steps up to the house, and a motion-sensitive security floodlight on the front of the house provides additional lighting. The reception area consists of the Hall, Panelled Room, Dining Room and Library, which are level throughout and well lit by a combination of large windows, central and side lighting. The flooring is wooden with large rugs. All doors connecting the reception rooms are 112cm wide. Emergency exit doors have illuminated signage. The Hall floor has polished wooden floorboards and 2 short pile rugs with non-slip backing. The furniture is around the perimeter of the space with a large open area in the centre. Seating is available – 2 upright wooden chairs with arms and a 2.5m long wooden church pew with seat cushion. The Hall is lit by overhead lantern lighting. There is good contrast between the dark floor, pale green walls and white doors. The Panelled Room has a dark polished wooden floor, white walls and door. The room is well lit via a combination of 3 large sash windows, overhead chandelier and side lighting. The fixed furnishings in the room are against the walls with a large open central space. If the room is used for a civil ceremony it contains two columns of armless function chairs with a wide central aisle. The room is cleared after the ceremony. If the room is used for an evening disco the lights are turned off and any lighting provided by the DJ/band used, which may include lasers or strobe effects. The Dining Room has a dark polished wooden floor almost entirely covered by a large short pile rug with non-slip backing. There is a fair contrast between the patterned rug, pale wallpaper and white doors. The fixed furnishings in the room are all against the walls. If the room is used for a civil ceremony it contains two columns of armless function chairs with a wide central aisle. If the room is used for a wedding breakfast oval tables and function chairs are set out and may limit access space. We suggest that wheelchairs are positioned near to the main entrance door for ease of access. The Library has a dark polished wooden floor almost entirely covered by a large long pile rug with non-slip backing. There is a fair contrast between the dark patterned rug, dark wallpaper and white doors. The room is well lit via a combination of 2 large sash windows, overhead chandelier and side lighting. The furniture in the library consists of several sofas, armchairs and side tables positioned at the sides of the room and in front of the fireplace. The fire is often lit and is surrounded by a protective fender and fireguard. The public toilets are accessed from the main hallway through a narrow door (67cm wide) and up a small step (10cm high). The closest toilet is unisex and located immediately on the left hand side through a 64cm wide door. The main toilet block has separate rooms for men and women, and is accessed via a 73cm wide self-closing door. The cubicle doors are 72cm wide and cubicles 150cm long. All the toilets are a standard height of 43cm and all the sinks are a standard height of 90cm. The floor of the toilet corridor and block is tiled throughout and lit by overhead lighting. We have a dedicated unisex toilet for guests with specific access needs. This has level access and is located approximately 15m from the main entrance hall, down a tiled corridor, which is 110cm at its narrowest point, covered by a runner-style rug. The toilet door is 90cm wide and the room has a spacious interior. The toilet is a standard height of 43cm, the sink is a standard height of 90cm and the floor is tiled. The toilet is lit by one window and an overhead light which is controlled via a pull cord just inside the door. There is a good contrast between the terracotta floor tiles, dark green walls and white door and sanitary ware. We can supply a toilet frame, tap extensions and tap levers with prior notice. The main house has 9 guest bedrooms situated over the first and second floors. The upper floors are accessed by 2 long, curved staircases with a bannister running up the outside of each. The bedrooms are all well lit with large windows, and a combination of side and overhead lighting. The first floor bedrooms and corridors have wooden flooring with rugs and carpet runners. The second floor rooms and corridors have short pile carpet throughout and the bathroom floors are tiled. All bedroom doors are 90cm wide. The bedroom doors are named with labelled and framed illustrations. Each room contains seating, bedside tables, bedside lamps, a wardrobe and a chest of drawers/dressing table. The beds in each room vary in height and size, from single to zip & link/super king size. The beds are made up with duvets but sheets and blankets can be provided. Our standard pillows are feather and down – non-feather alternatives are available. 3 bedrooms have en suite bathrooms and 6 have bathrooms situated a short distance away. All the bathrooms have standard toilets at 43cm high and standard sinks at 90cm high. 1 bedroom has an en suite bathroom with walk-in shower (64cm wide entry with 10cm step) – all other bathrooms have a shower over a bath or step up into a shower cubicle. The house is fully centrally heated throughout but radiators can be adjusted in each bedroom to suit individual requirements. We have a couple of portable space heaters which can be provided on request. The house is fitted with an automatic, linked fire alarm system which extends throughout the public areas of the house. Emergency lighting indicates fire escape routes. The guest kitchen is located on the second floor and has level access from the corridor. The door is 70cm wide, the floor has vinyl tiles and there is low energy overhead lighting. The kitchen has a low level refrigerator, an electric oven and hob, microwave, kettle, toaster and sink. The units are all 90cm high. The glassware and crockery are stored in cupboards under the units and tea/coffee supplies are stored in the wall-mounted overhead cupboards. There is a table and 4 chairs. A water bowl is available for assistance dogs and can be supplied for bedrooms where necessary. Prescription medication and perishable food can be refrigerated in the guest fridge. A shop mobility scheme is available in Ledbury Monday – Friday 9.30-12.30 – further details are available on 01531 635330. The nearest community hospital is 5 miles away on Market Street in Ledbury. The nearest general hospital with an A&E unit is 10 miles away in Hereford. Please let us know if you require any further information about these. Details of local attractions and suggested places to eat can be provided on request, with details of their Access Statements for information. There is a WiFi connection available in the Library, Hall & Panelled Room, although it is not always reliable. The main lawn is flat and has level access directly from the gravel area in front of the house. There is a gravel path (120cm wide) on two sides of the lawn and several benches. There are 2 sets of wooden/wood chip steps leading down to lower paths from the main lawn. The nearest set of steps has a handrail on both sides; the further set of steps has no hand rail. The rear of the main garden slopes steeply uphill leading to the upper lawn, which has two level stone patio areas with wooden garden furniture. The upper patio has level access; the lower patio has a 20cm step down to it. The rose garden has level access through a metal gate from the upper lawn. The garden is grassed with 3 large rose beds. There is a metal bench around a tree in the middle of the garden. The walled garden is accessed through a metal gate via an uphill gravel path from the upper lawn. The walled garden is on an uphill slope and is mainly grass underfoot although there is a gravel path (120cm wide) running along 2 sides. At the top of the garden there is a wooden pergola containing a bench, accessed via 3 brick steps. The garden is not illuminated after dark. The Coach House is an 18th century red brick 3 storey house. Due to historic nature of the property we suggest that people with impaired mobility or vision should be accompanied by non-impaired person. An uphill tarmac drive leads to a speed bump, and a right hand drive around the back of the main house and sharp left at the top of the drive leads down to a stable yard parking area in front of the Coach House. There is parking space for 4 cars in the stable yard. The surface is brick and fairly flat. The distance to the front door is approximately 10m. There is a motion sensitive automatic security light which illuminates the path up to the front door after dark. The house is red brick and the front door is dark wood. Assistance with luggage is available on request. There is a small step up through the front door. The width of the front door is 85cm. The ground floor hallway has a terracotta tiled floor with white walls and ceiling. There are 3 overhead lights in the hallway and 1 window. There is a dark grey short pile mat in the entrance hall. The staircase has wooden bannisters and natural coloured carpeted treads. There are 15 steps (82cm wide) up to the first floor landing, which is fully carpeted. There are an additional 13 steps (88cm wide) up to the second floor landing, which is also fully carpeted. There is a toilet on the ground floor adjacent to the front door, which has a 43cm high toilet and 80cm high hand basin with traditional twist turn taps. The toilet has terracotta tiled flooring, white walls and ceiling. There is 1 overhead light and a small window. The kitchen is on the ground floor and has terracotta tiled flooring with white walls and ceiling. There are 6 overhead spotlights and a large window. The doorway is 73cm wide and the wooden work surfaces are 90cm high. The kitchen is equipped with an electric oven, fridge, microwave, dishwasher, toaster and kettle. There is a walk-in pantry with chest freezer. The sink is 90cm high with traditional twist turn taps. The utility room is on the ground floor and has terracotta tiled flooring with white walls and ceiling. There is 1 overhead light and a large window. The doorway from the internal corridor is 80cm wide and back door out into the garden is 95cm wide. The utility room contains 1 freestanding work surface 90cm high, a washing machine and a belfast sink at a height of 80cm. The garden can be accessed from the front of the house, through a garden gate which is 79cm wide. It can also be accessed down 3 stone steps from the utility room door. The courtyard garden has a paved stone area with stone edged flower beds and free-standing plant pots around the edges. There is a wooden table surface in the middle of the garden which is 76cm high, a bench and folding garden chairs. The living room is on the ground floor and has terracotta tiled flooring with a central rug and white walls and ceiling. There are 2 overhead lights, several table lamps and 3 windows. The doorway from the internal corridor is 80cm wide. The living room contains a leather sofa, 2 leather arm chairs, a coffee table, side tables, a dining table and 8 dining chairs. There is a TV and radio. There is no loop system for the TV and radio. There is no telephone, however the major mobile network providers have fairly good signal strength. The snug is on the ground floor and has a carpeted floor, and white walls and ceiling. There is a central overhead light and 2 table lamps, and one main window. A terracotta tiled step (7 cm deep) in the doorway leads down into the room. The doorway from the internal corridor is 80cm wide. The snug contains 1 leather sofa, 1 corner fabric covered sofa, 1 wooden chair, a stool and 2 side tables. There is a wall-mounted TV with sound bar and separate sub-woofer, both operated by remote control. There is an electric, wood burner style fire in the hearth, also operated by remote control. There are 2 ensuite bedrooms on the first floor and 2 on the second floor. The bedrooms are all fully carpeted in a natural colour with white walls and ceilings. The beds are 70cm high divan style ‘zip & link’ so can be made up as either twin (2ft 3) or double (4ft 6) beds. The bedding is all cotton with synthetic duvets. The bedrooms are furnished with free standing chests of drawers, dressing tables, bedside tables and chairs. The rooms all have a mixture of overhead and side lighting and all have windows. The bathrooms all have white ceramic tiled floors, white walls and ceilings. The fittings are all of a standard height with toilets at 43cm high and hand basins at 80cm high. Taps are of the traditional twist turn type. Three of the bathrooms have shower cubicles (120cm x 90cm) with small entry lips (8cm) but one bathroom on the first floor has a bath with overhead shower. There are no handrails or supports. The 2 bathrooms on the first floor and one of the bathrooms on the second floor have windows and all have overhead spotlights. There is WiFi connection throughout the Coach House. Smoke detectors are fitted throughout the house, along with red break-glass fire alarm points on each floor. Illuminated emergency lighting and fire exit signage is provided on the stairways and corridors along with motion-sensitive night lights. Details of local attractions and eateries are provided in an information booklet in the living room. The Summerhouse is a Grade I listed, 2 storey round white tower which has one lower bedroom chamber and one upper chamber, connected by a stone spiral staircase. Due to historic nature of the property we suggest that people with impaired mobility or vision should be accompanied by a non-impaired person. A right turn on the main drive, immediately after a speed bump, leads up a 200m tarmac drive and straight on through a metal gateway and up a 200m roughly surfaced track to the Summerhouse. There is a roughly surfaced parking space at the top of the track, which is approximately 30m from the Summerhouse entrance. The Summerhouse entrance is accessed via a slightly uphill grass slope leading through metal double gates and down another short grass slope. Three stone steps lead up to the wooden front door, which is opened and closed with a suffolk latch. There is no fixed lighting outside the Summerhouse – lanterns can be provided for arrivals after dark. The front door is 1m wide. It leads directly onto a stone spiral staircase. There is a small stone area behind the door, under the spiral stairs, which has an electric point with kettle, a portable heater, a basket containing crockery, cutlery and condiments, and a fire extinguisher. On the back of the front door there is an umbrella, a rucksack and a 1st aid kit. 4 stone steps lead up to the lower chamber, the threshold of which is covered by a dark grey mat. 14 further stone steps lead to the upper chamber, the threshold of which is covered by a dark grey mat. There is no hand rail on the stairs. There are 2 round windows but no fixed lighting. The walls and ceilings are white. The width of the stairway is 90cm. The door to the bedroom is dark wood and is 80cm wide. There is 1 small stone step down into the room. The bedroom is round and 3m in diameter. It has a sealed red brick floor with white walls and ceiling. There is 1 window opposite the door and and a stone fireplace (non-functional) to the left of the doorway. The double four poster bed is 51cm from the floor. The bed has a feather duvet and pillows – synthetic options can be provided on request. The floor area around the bed is covered by 3 sheepskin rugs. There are 2 electric bedside lights, several battery operated candles and 2 battery operated lanterns, but otherwise no lighting. The furniture is against the walls and consists of a small chest of drawers, a small chair, a chest and 2 bedside tables. The door to the bedroom is dark wood and is 80cm wide. The room is octagonal and 3m in diameter. It has a cream carpeted floor with white walls and ceiling. There are windows all the way around the room and a lantern at the apex of a vaulted ceiling. There is a fireplace with wood burning stove to the left of the doorway. The middle of the floor is covered with a natural coloured round jute rug. There is no electric lighting in the upper chamber, only battery candles and lanterns. The furniture is against the walls and consists of a chaise lounge, 2 low chairs, 2 dining chairs, a round dining table, a small round table, a wicker hamper and a basket of logs. The bathroom is completely separate from the Summerhouse, approximately 20m away. Access to the bathroom is over an uneven grassy surface, through a metal gate in the walled garden wall, down 5 wide gravel curving steps to a gravel walkway around the bathroom. There is a fixed electric light on the outside of the bathroom block, which has a timed switch on the wall. The bathroom is white with a dark wooden door operated by a Suffolk latch. There is one small step up into the bathroom. The bathroom floor is concrete, with white walls and ceiling. There is a standard sized toilet (45cm high), a small corner hand basin (90cm high) and a heated towel rail. To the left of the door there is a small step up (20cm) through an open doorway (75cm wide) into a walk-in marble shower (90cm wide). The shower is operated by a thermostatic control wheel at 90cm high. The walled garden is on a slope with the Summerhouse at the top. It is mainly surfaced with grass although there is a graveled path (120cm wide) running along 2 sides. At the top of the garden there is a wooden pergola containing a bench, accessed via 3 brick steps. There are several flower beds edged with wooden boards, red brick or box hedging. There is no fridge inside the Summerhouse, however there is a small fridge provided on ground level undercover outside the bathroom building. There are no broadband/wi-fi facilities and mobile reception can be limited. Details of local attractions and eateries are provided in an information booklet in the upper chamber.